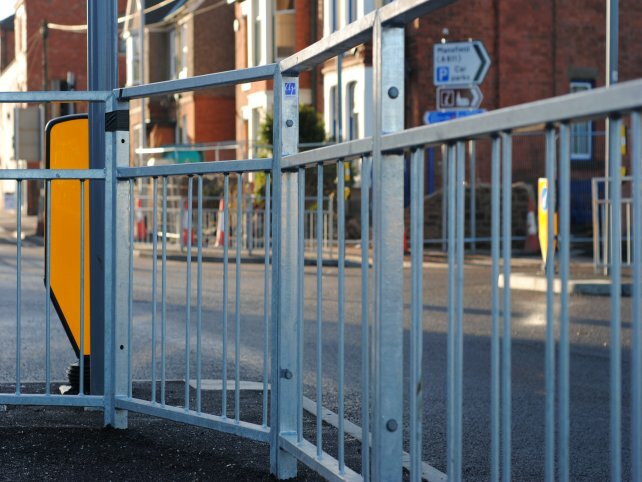 A £13.5m project funded by Department of Transport (DfT), Nottinghamshire County Council and Ashfield District Council to increase the number of pedestrianised areas and reduce traffic congestion around the town the centre of Hucknall in Nottinghamshire. 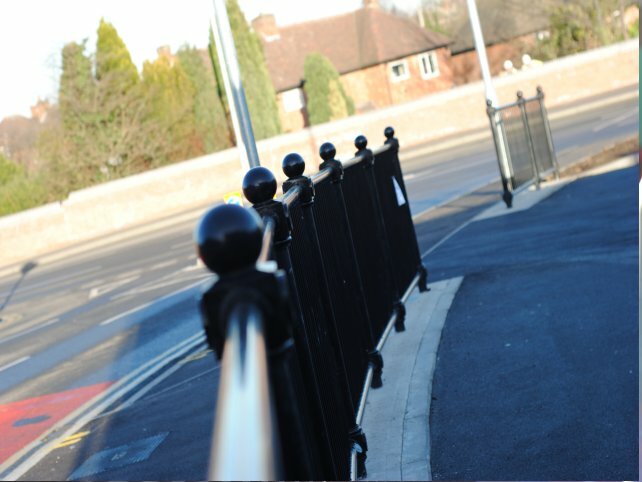 Most of the works involving alpha Rail were centred around the High Street and were part of the Hucknall Town Centre Improvement Project to make the town centre safer and more accessible for pedestrians. 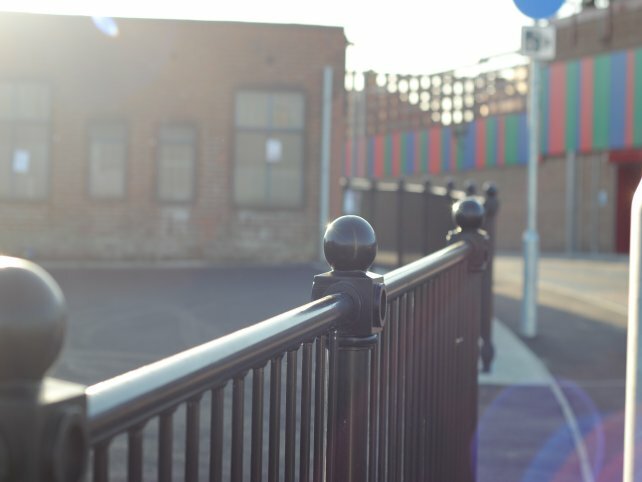 Alpha Rail was asked to manufacture, supply and install bespoke decorative pedestrian guardrail to areas situated between Baker Street and Station Road. 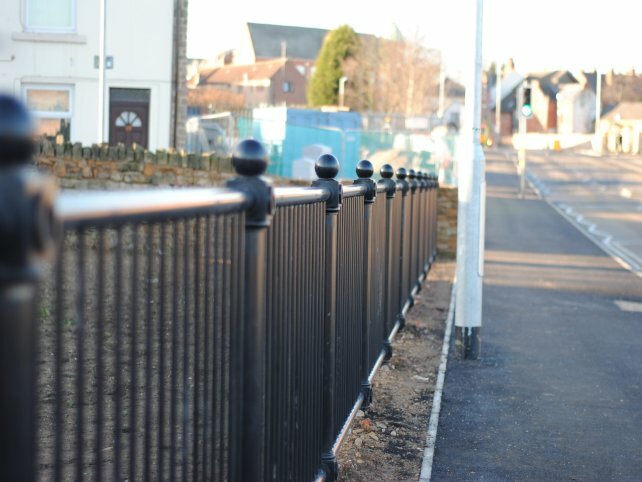 In total Alpha Rail installed over 250 linear metres of 1150mm high SM2 pedestrian guardrail with 76mm diameter posts finished with aluminium finials. 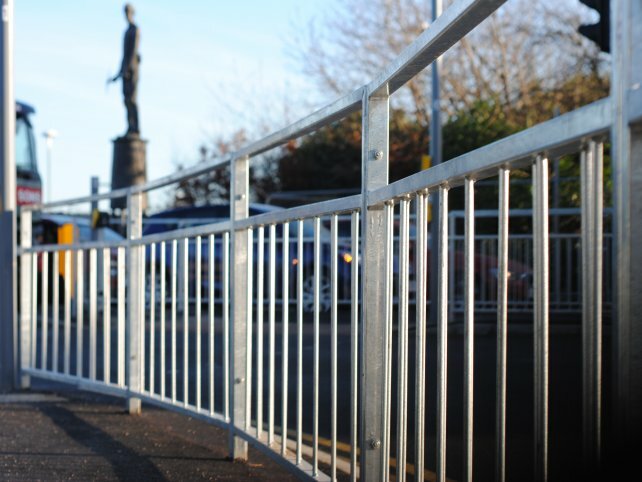 Alpha Rail supplied its bespoke metalwork with a hot dipped galvanized finish with bespoke decorative materials and thereafter polyester powder coated black RAL 9005. "“The regeneration works will help improve Hucknall’s reputation as a key shopping location. 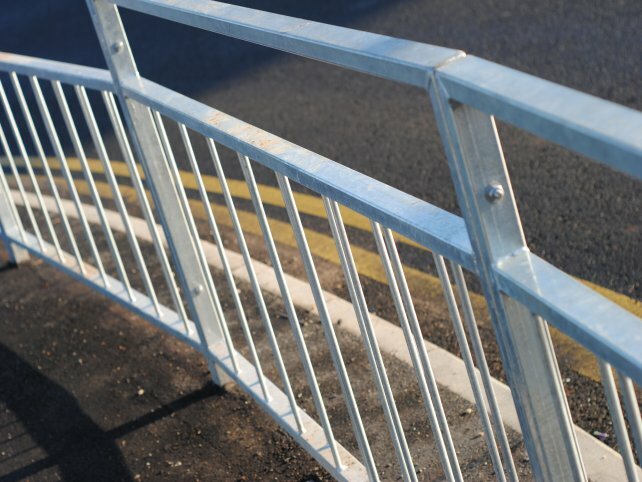 The planned increase in footfall required that pedestrian guardrail be installed at key locations to ensure the safety of pedestrians. Alpha Rail is a very reliable local company with an excellent reputation for the quality of its products and an ability to meet project deadlines.”"
Join us around the web on our social pages for all the latest news and talk.